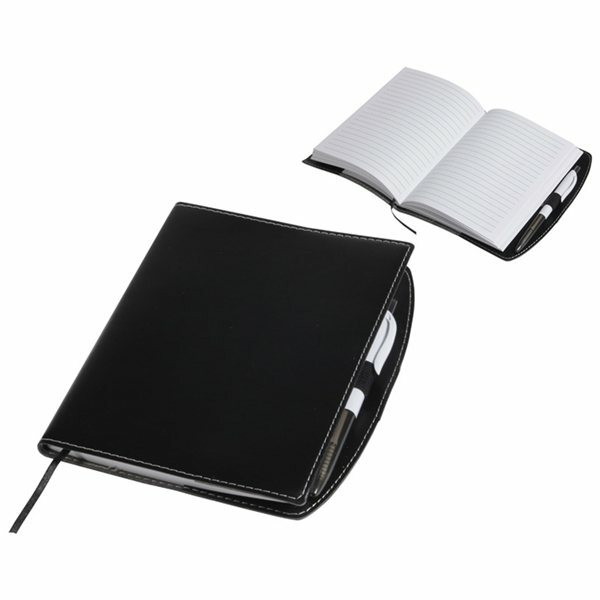 80 sheet ruled pad with ribbon page marker. Ball point pen inserted in elastic loop. Wonderful give-away- item. Liked the product and would recommend it. Great Product and very good quality for the price! I would buy again and again! Every time I order from AnyPromo the product is exactly what I expect. thank you so much for the help with our order. I liked your online upload and viewing of our logo placed on the product. Loved the price a lot. Definitely a good buy for our numerous events lined up the rest of the year They're perfect....precisely what I needed!